Michael Serafini expands on the Canadian kidsnet's new fall schedule—and why certain shows are resonating within a changing TV landscape. In the year since DHX Television rebranded its suite of kids channels under the Family name, the Canadian kidsnet has been hard at work evolving a programming lineup that best reflects the viewing habits of today’s kids and families. To help fine-tune its slate of original and acquired live-action and animated series across drama, comedy, music and adventure genres, DHX TV struck major co-production partnerships with DreamWorks Animation, Mattel and DreamWorks-owned AwesomenessTV. Along with its existing relationships with Netflix and YouTube, the deals have been instrumental in shaping DHX TV’s new fall schedule and will provide a raft of content for years to come. Two new primetime series heading to Family Channel on September 21 both hail from AwesomenessTV—Food Truck Fanatics and Cook That! The former stars twins Veronica and Vanessa Merrell as they experience the L.A. food truck scene, while the latter is a competition series hosted by YouTube phenom Rachel Ballinger. Other hit shows returning to Family Channel include a new season of X Factor UK, new episodes of Fresh TV’s teen performing arts drama Backstage, as well as the channel’s top-rated dance series The Next Step and YouTube-inspired tween pop culture show We Are Savvy. 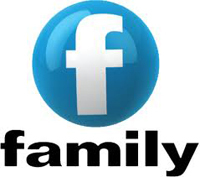 For Family’s newly launched teen block F2N, Degrassi: Next Class and AwesomenessTV docu-series Cheerleaders are back, plus a Gilmore Girls Sunday night marathon begins September 3. Looking at Family CHRGD, animated fare The Deep, Slugterra and Fangbone! will all return, along with live-actioner Bear Grylls’ Survival School. A new series to the schedule premiering September 4 is game show What Parents Don’t Know, hosted by The Thundermans‘ Major Curda. Family Jr., meanwhile, will feature the premiere of educational series Super Why!, plus new eps from shows including Spiffy Pictures’ Nature Cat, DHX/Sinking Ship co-pro Playdate, CJ E&M’s Rainbow Ruby and DXH Media’s Teletubbies reboot. With a more diversified fall schedule across screens, including the newly launched Family Channel app, programming VP Michael Serafini is confident the network is moving in the right direction. A successful fall season would also be timely for the kidsnet, which saw its Q3 revenues decline by 23% to US$12.1 million from US$16 million a year ago. Serafini, who took over programming responsibilities from original production VP Michael Goldsmith last October after joining DHX TV from CBC, spoke to Kidscreen about the progress of the rebrand and the fall lineup. How has the programming strategy changed since you came on-board? If you look at the Family schedule today versus when I started, you’ll see we’ve added more animation and fine-tuned our after-school approach to expand our demographic. Before we were eight to 14, but now we are more in the six to 14 range. With our new F2N initiative, we needed to determine its place in the market, so we added a show like Gilmore Girls to give us an anchor. 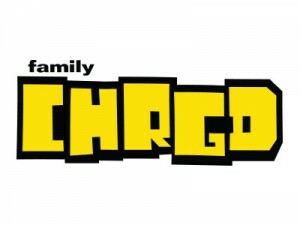 For CHRGD, we’re focusing on more action-adventure along with the gaming programming that’s already working on the network, and with Family Jr. we continue to recognize the characters we were able to pick up through our relationship with Mattel like Thomas, Bob the Builder and Little People. How is DHX TV leveraging screens, promos and new formats? We’ve used different platforms to launch shows like Raising Expectations, which first went out on the app, and we’ve been using sneak-peeks throughout the year and marathons this summer. As for formats, game shows are resonating, if you look at what’s out this summer. How has DHX TV’s relationship with YouTube evolved? We know that our audience is there, so we constantly look to YouTube whether it’s for development or growing our talent pool. Our relationship with AwesomenessTV has also opened the door to more YouTube stars and we continue to use the platform for clips and music videos to enhance our programs. We launched a Family Channel talk/clip show this summer on YouTube featuring our talent called Weekly 360, and it performed quite well. It grew week over week and is something we want to continue into the fall to connect viewers from one platform to another. What are the current top-performing shows across the channels? Backstage and Lost & Found Music Studios are doing some strong numbers in their marathons, so we’re excited that we’ve ordered more Backstage. The Next Step continues to be our number-one show, and it repeats well so we’re also happy to get another season, it’s fifth. On CHRGD, Turbo FAST performs well even though it is a Netflix show that came over to us, and The Deep and Sonic Boom are also top performers. For Family Jr, we’re seeing Thomas continue to dominate the ratings, new entry Nature Cat jumped into the top five, and Rainbow Ruby is doing really well. What’s the biggest challenge for DHX TV right now? It’s that we are not just competing in the TV space for our audiences anymore. The CRTC just overhauled its indie production fund framework. How will the changes affect DHX TV? Our focus going for the next phase of the channels is about original productions and we continue to look for ways to get more original shows on the screen. We welcome evolving business models and we remain on the lookout for different ways to partner with indie producers.